At four decades and running, Kraftwerk are true pioneers within electronic music... and hip-hop. Their "Trans Europe Express" was huge for the art of electronic music, but also helped show the emerging hip-hop scene the power of drum machines and synthesizers. This German outfit has had success the world over, crafting quirky anthems about German motorways, cycling, and many other seemingly-random topics. They are true auteurs in both sound manipulation and DIY machinery, and have spent countless hours creating their own equipment, selling their own merchandise, and entrancing scores of music lovers with their material. We have a feeling that, outside of knowing their worth, there are bits about their career that you might not be aware of. 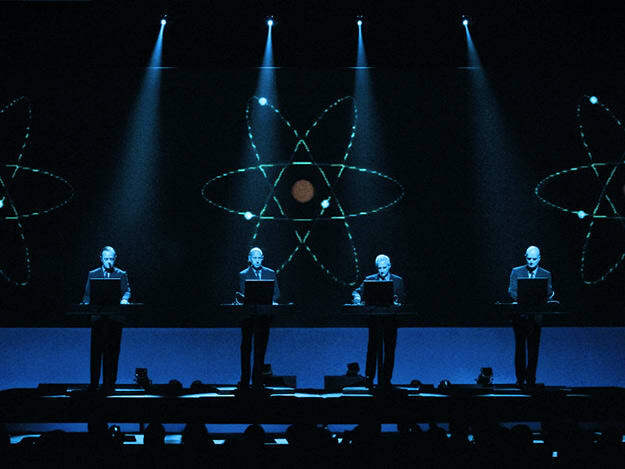 Here are 10 things about Kraftwerk you probably don't know.